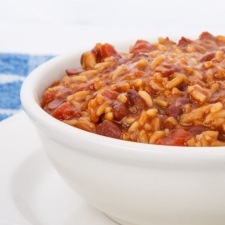 One of our favorite frugal weekday meals is red beans and rice. It’s filling, tasty, and just about cooks itself. There’s no soaking or stirring of the posts needed. 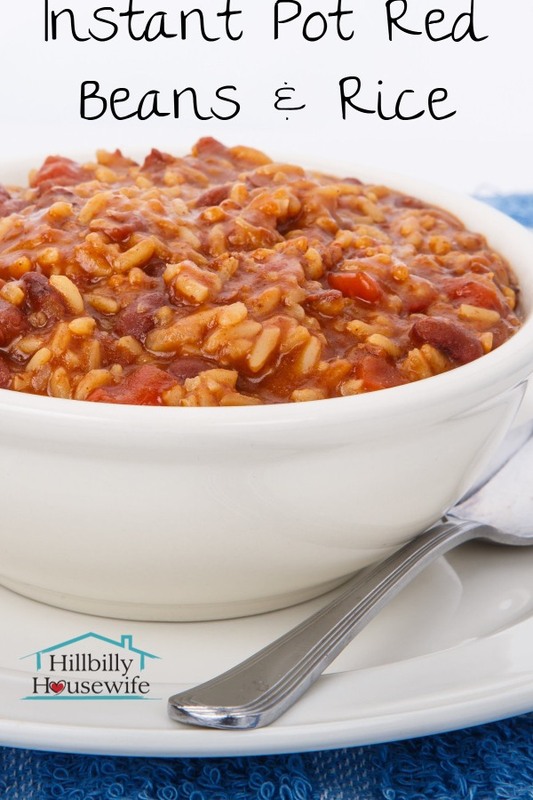 If you’re wondering how to cook those red beans and rice everyone talks about as a great frugal meal to help you save money, this is what they are talking about. Of course you don’t have to cook them in the Instant Pot, but it makes it quick and easy. If you have one, give this recipe a try and see if your family likes it. Rinse and sort the beans. Add them to your Instant Pot. Add everything else and stir to combine. Cook on manual (high) for 30 minutes. If you suspect your beans are fairly old, you may want to add another 5 minutes. Allow the pressure to release naturally. Stir again after opening the pot and serve as is, or top with chopped onion, additional salsa, sour cream, avocado, etc. The recipe as is feeds a family of four comfortably with enough red beans and rice leftover to make burritos the next day. I reheat the bean and rice mixture, put it on flour tortillas, top it with shredded cheese and wrap it up. I serve it with salsa and sour cream on the side. You can also add any other leftovers in the fridge to the burritos. Shredded chicken or beef works well, as do assorted vegetables. Use up anything and everything that’s about to go bad that sounds like it would work in a burrito. Ready for more delicious and affordable Instant Pot recipes? I put together The Frugal Instant Pot Cookbook to share my favorite tried and true recipes for the electric pressure cooker with you. With this cookbook you’ll be able to make the most of of your Instant Pot and cook affordable meals that turn out delicious. Over 50 delicious recipes with clear step-by-step instructions. Affordable meals that don’t use fancy ingredients. Tips and ideas to make each dish even more frugal. Breakfast recipes that are easy enough for weekday mornings, and filling enough to enjoy for dinner. Hearty soups and stews that will fill you up and keep you warm. Affordable meat dishes that take advantage of inexpensive cuts of meat that cook perfect in the pressure cooker. Simple side dishes to complement your main meal. These are also perfect for the holidays when you need to free up stove and oven space. Delectable sweet treats and desserts for those times when you need a little something sweet. 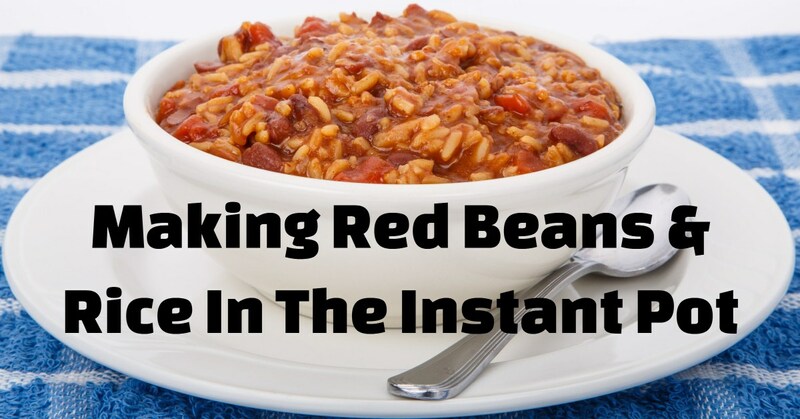 Plenty of tips, ideas, FAQs and more to make sure you get the most out of your Instant Pot. Pick up a copy of the Frugal Instant Pot Cookbook today and start making affordable home-cooked meals for your loved ones.